Eqstra Fleet Management and Logistics says it has invested R4.3 million in a tyre mobility solution for its customers. It adds that the new solution has also created significant business opportunities for black owned SMME’s. Eqstra has already identified three enterprises that have qualified for the programme: DSC, Siyakhande Mobile Workshops and Lebolex. Critical requirements for qualifying enterprises include those with some industry and product knowledge, some business management knowledge and an appetite for commitment and success. 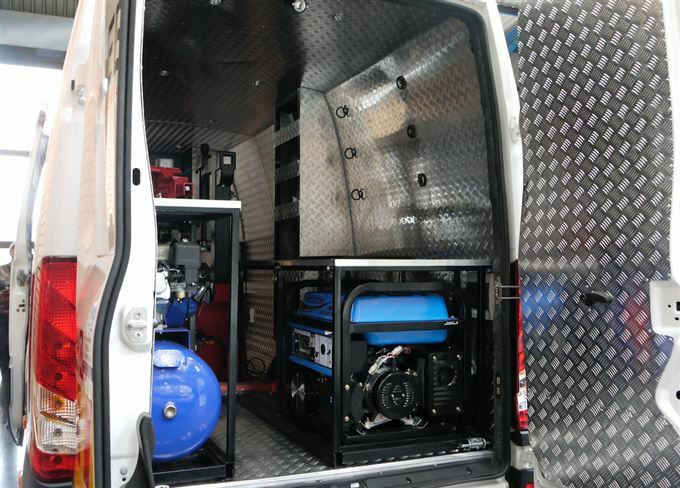 The company will supply its chosen enterprises with panel vans, converted where necessary and fitted-out for commercial, passenger and LDV tyre applications. Balancing machines, air conditioners and load-bin rubberising are also included. The total investment will range from R650 000 to R950 000 per supplier. The enterprises, which are situated across Gauteng, will be introduced to Eqstra’s customer base and will offer the full range of tyre services including tyre replacement, repair, balancing and servicing/rotation. Mobile units will attend to the vehicles at the customer’s premises, reducing downtime. Wheels will have to be aligned at a regular supplier, as wheel alignment requires a ‘solid’ foundation to enable effective readings and operation of machinery. However, to further assist customers, the mobile operator will be able to transfer the vehicle to such an operation for the alignment to be complete. To ensure preferential pricing for customers, the enterprises will be able to buy tyres and accessories from Eqstra’s preferred suppliers on special terms and at discounted rates. Eqstra has partnered with Raizcorp, which provides a rigorous business incubation programme to ensure the enterprises are able to offer a top quality service. The programme will include comprehensive business management processes including customer service, sales, financials and reporting, operations, marketing, human resources, legal, strategy, etc. It will also include ED/SD owner upskilling and personal development.